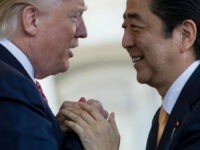 Japanese Prime Minister Shinzo Abe and his wife Akie Abe will visit the White House next week, the White House announced Friday. 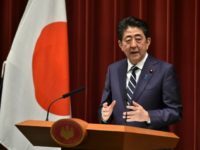 “I never said I didn’t,” Abe said in response to a question from Parliament lawmakers in Japan. 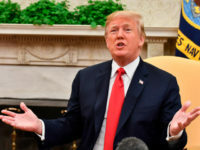 President Donald Trump said Friday that Japanese Prime Minister Shinzo Abe nominated him for the Nobel Peace Prize based on his work to promote peace between North and South Korea. 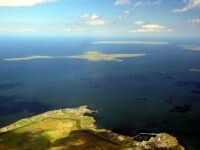 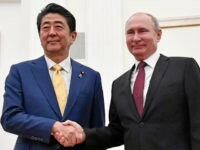 Hopes that 2019 might be the year Japan and Russia finally put World War II to bed were dealt a setback on Thursday when the Japanese Foreign Ministry formally protested Russia’s “unacceptable” detention of two Japanese boats that were fishing near the contested Kuril Islands. 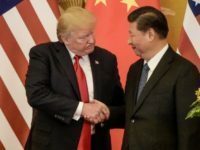 President Donald Trump kept hope alive of a U.S.-China trade deal Friday at the G20 summit, where trade officials are set for a major meeting. 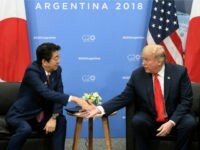 President Donald Trump and Japanese Prime Minister Shinzo Abe heralded their “robust” relationship as they prepared to meet on issues including trade and North Korea at the G20 summit in Argentina Friday. 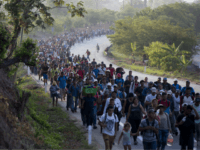 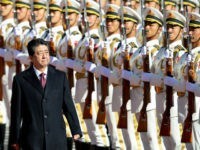 A Japanese government official told the nation’s Kyodo News that Prime Minister Shinzo Abe brought up the subject of internment camps for Uighur Muslims in China during his ongoing visit to Beijing on Friday. 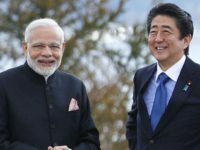 Japan’s Prime Minister Shinzo Abe landed in Beijing, China, on Thursday, the first such visit by a Japanese head of government since 2011. 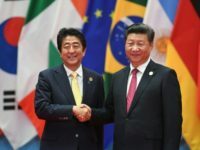 Reports indicate that the two countries expect to sign dozens of memoranda of understanding, particular on trade, where China has worked to convince Japan to join its Belt and Road Initiative. 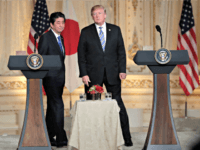 The United States and Japan announced Wednesday at the United Nations General Assembly in New York that the two nations will be pursuing a mutually beneficial trade agreement. 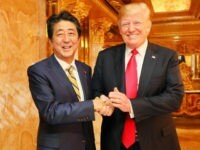 Prime Minister Shinzo Abe of Japan, visiting New York on the occasion of the United Nations General Assembly meeting, told reporters on Sunday that his dinner with U.S. President Donald Trump that night was “very constructive” and ranged from sharing opinions about North Korea to securing mutually beneficial trade agreements. 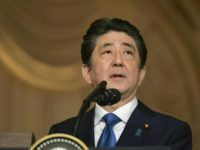 Japanese Prime Minister Shinzo Abe put doubts about his political future to rest on Thursday by winning an overwhelming victory over challenger Shigeru Ishiba for the leadership of the ruling Liberal Democratic Party, consolidating control of the party and all but ensuring another three-year term as leader of his country. 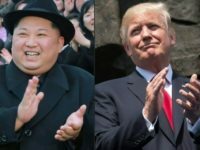 North Korea’s state news agency followed up its somewhat surprising condemnation of U.S. Secretary of State Mike Pompeo with a screed Tuesday warning that Japan is a “fascist fanatic” threatening to revisit the “miserable disasters in the Second World War” onto Europe. 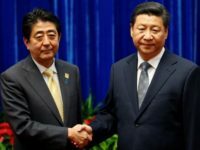 China’s Global Times on Thursday took a break from giving China all the credit for the diplomatic breakthrough with North Korea to ensure Japan does not get any. 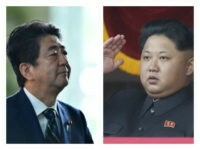 “Japan was a participant in the Six-Party Talks, and is now just a bystander,” the Chinese paper teased. 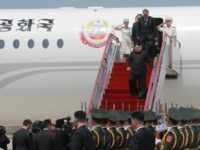 The conservative South Korean newspaper Chosun Ilbo reported Friday that North Korean dictator Kim Jong-un will have to borrow a foreign plane to reach the planned summit between himself and President Donald Trump scheduled for Tuesday. 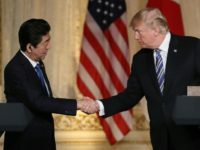 The White House announced Tuesday that American President Donald Trump and Japanese Prime Minister Shinzo Abe will meet ahead of the “expected meeting” between Trump and North Korean leader Kim Jong-un in Singapore on June 12. 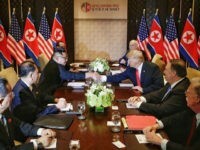 “The United States continues to actively prepare for President Trump’s expected summit with leader Kim in Singapore,” White House press secretary Sarah Sanders said in a statement. 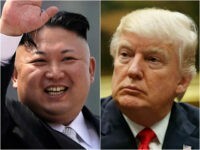 Japan expressed support for U.S. President Donald Trump’s decision this week to cancel the planned summit with North Korean dictator Kim Jong-un, pledging that Tokyo intends to keep up pressure on the rogue regime over its nuclear and missiles programs. 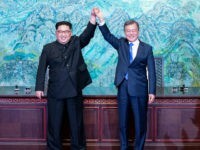 Meeting in Japan for a summit between their three nations, South Korean President Moon Jae-in and Chinese Premier Li Keqiang agreed on Wednesday to pressure the United States into providing North Korea economic rewards for abiding by international law, if the Kim regime chooses to do so. 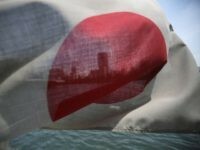 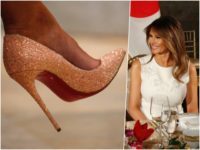 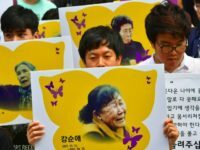 North Korea’s state media, once singularly focused on insulting the United States, has shifted targets to Japan, publishing warnings that “half-witted Japanese politicians” threaten the success of North Korea’s charm offensive towards South Korea and the United States. 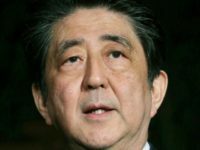 During his visit to Jordan on Tuesday, Japanese Prime Minister Shinzo Abe declared that Jordan’s stability is “indispensable for regional stability” and pledged to “dramatically develop our bilateral ties” on security and trade issues. 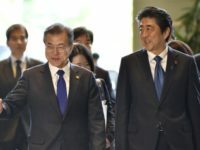 The governments of Japan and China, typically on the opposite sides of most regional political issues, both praised Friday’s summit between South Korean President Moon Jae-in and North Korean communist dictator Kim Jong-un.